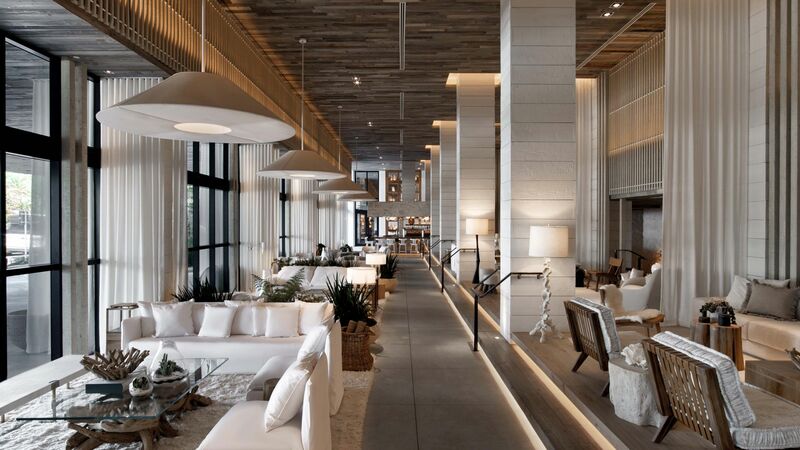 1 Hotel South Beach is Miami’s ultimate wellness retreat. 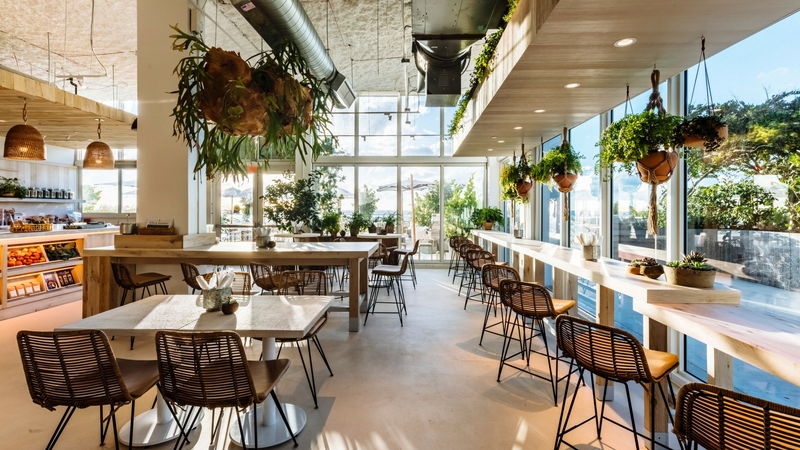 From the world’s first Spartan Gym, to the only Bamford Haybarn Spa in the U.S., to the healthful and delicious plant-based menu at PLNTHOUSE by Matthew Kenney, 1 Hotel South Beach is the ideal spot to relax and unwind. All of this is wrapped up in a super swish hotel on Miami’s South Beach. Bingo! Euro-chic and poolside glamour set the scene for a stylish getaway whether you’re visiting the hotel alone, with friends, or spending time with family while immersing in the ultimate wellness retreat. 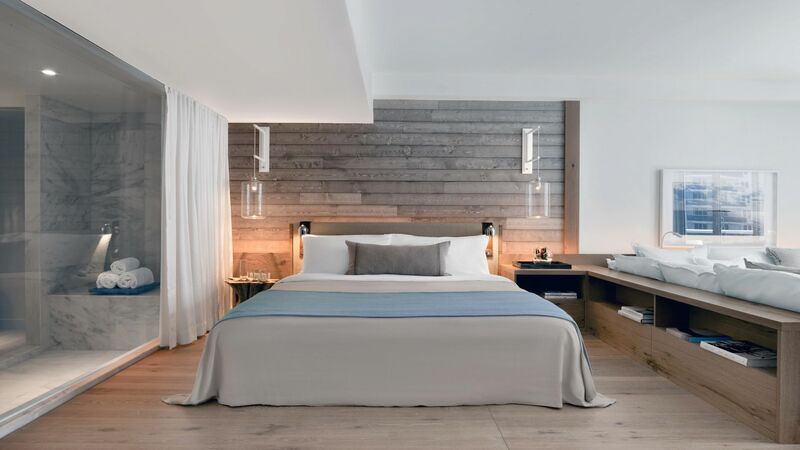 Eco-forward luxury design is incorporated into every aspect of the 1 Hotel South Beach experience, from hemp-filled beds to headboards made of salvaged Colorado beetle kill pine to lobby farm stands with fresh, local fruits for guests. Day-to-day operations minimize the property’s footprint by conserving non-renewable resources, as proven by their use of energy efficient heating and cooling and safe water chlorination processes for their four pools. 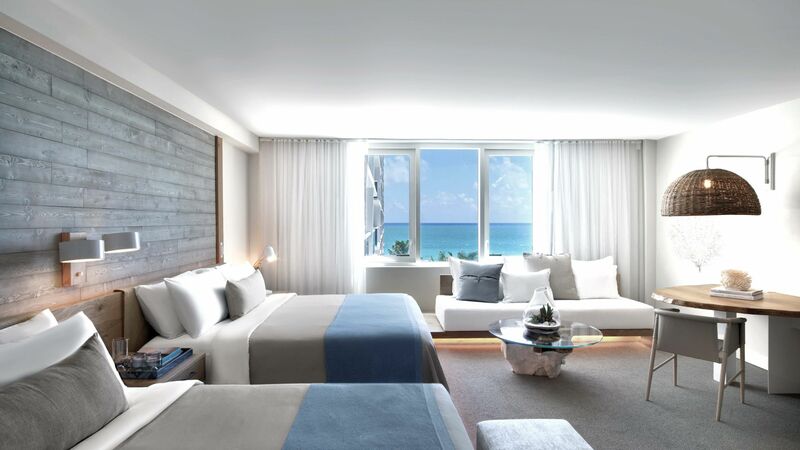 1 Hotel South Beach’s guest rooms include 425 rooms, 168 suites and one Oceanfront Presidential Suite. These mother-nature approved rooms feature custom hemp-blend mattresses draped in 100% organic cotton linens. 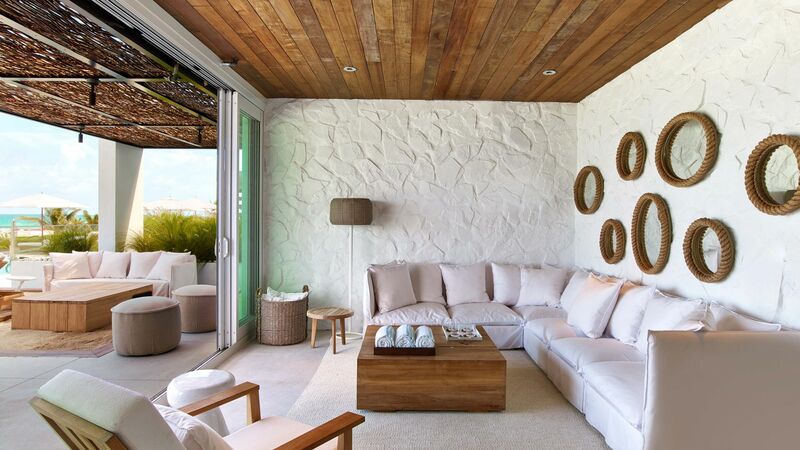 Towels, robes and linens are made of all-natural cotton-knit whereas chic glass terrariums adorn every room. 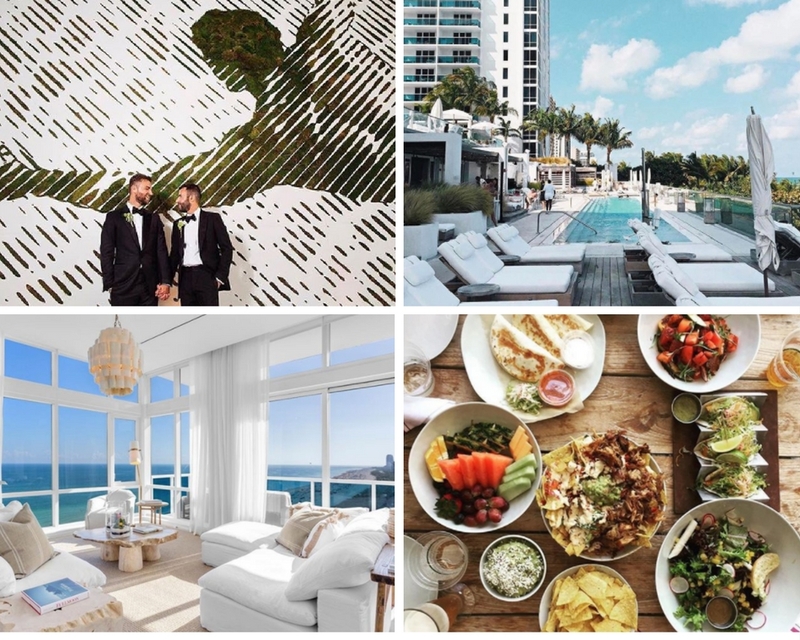 Located in the heart of Miami Beach, 1 Hotel South Beach is just a moment’s walk or Uber/ Lyft ride from the best Miami nightlife, shopping, and museums. Check into the recently reopened The Bass Museum, the contemporary art museum is filled with a variety of outlandish and thought-provoking pieces. 1 Hotel South Beach has the first-ever Spartan Gym. Guests can train in a studio complete with ropes, obstacles, and direct access to local Certified Spartan trainers dedicated to helping those with all fitness levels. Test your limits through Spartan private training sessions or dedicated classes including Spartan Obstacle Conditioning, Ripped, Sunset Core Flow on the yoga deck and a variety of specialized kids classes. Guests looking for a holistic wellness experience can take part in 1 Hotel’s Mind & Movement programming, which encourages guests to strengthen their minds, bodies and souls with group fitness classes. Offering complimentary yoga, Vinyasa flow, Pilates and meditation classes, each session is skillfully curated and tailored towards tranquility. With access to four stunning pools, you’ll have no problem getting your feet wet. Two massive pools on the main deck practically spill over into the Atlantic. 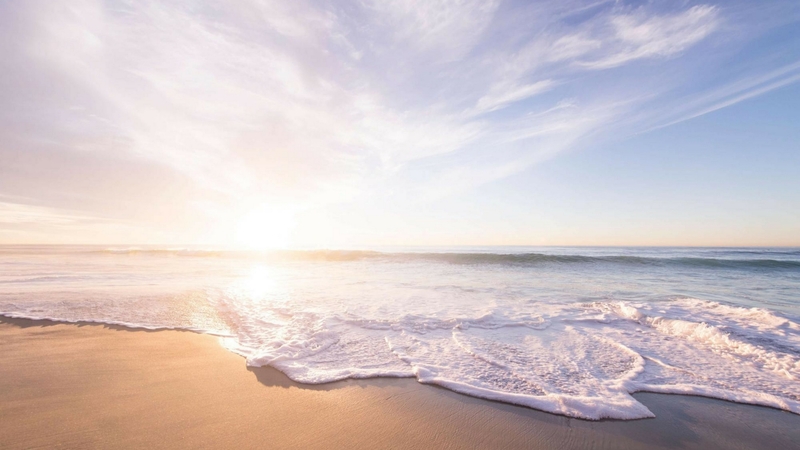 Rejuvenate in the sun on a chaise lounge and watch the waves rolling onto the sand. The cabana pool deck and the rooftop deck offer more private spots for soaking up ocean views. While at the rooftop, look to the east and you can gaze out at the Atlantic from 18 floors up; look to the west and you’re rewarded with a bird’s eye view of Miami’s ever-expanding skyline. 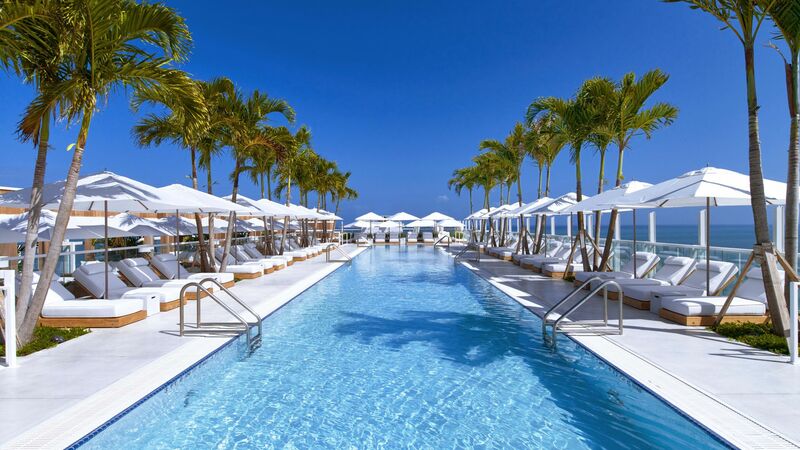 Perfect for a beach style snap, 1 Hotel South Beach is embellished with a true blue aesthetic and ultra cool vibes.